The city of refuge is an amazing concept. While the “murderer” wasn’t guilty of a crime, the Bible is revealing an awareness of two things. One, that it would be immensely painful for the family of the dead man to watch his killer walk around living a normal life while they were bereft. Secondly, that in a time and place where God’s Hand was more evident and more visibly and immediately responsive than it is now, although the man wasn’t guilty of murder, for some reason he was chosen as the vehicle of death. For a reason only known to God and not actionable by a human court, he was not randomly put in the situation, rather deliberately placed there by an unfathomable Divine decree. The city of refuge meant that he could live a full life in freedom, but in a certain type of exile. The move there shielded him from ill will from the dead person’s family, protected that family emotionally and also stirred things up in his life prodding him to reassess and improve his ways. In conclusion, there is no basis for building a Biblical case for today’s sanctuary cities on the concept of the cities of refuge. And, finally, though you probably already know this, we’ll mention that the French revolution was intensely anti-religious and ushered in a long period of murderous tyranny. The American revolution was fueled by Christian fervor preached from church pulpits and ushered in hundreds of years of freedom and prosperity the likes of which had never before been seen on this planet. Beautifully put. I have not seen a better explanation of the purposes of the cities of refuge. As an attorney, I have always appreciated how much of our law is based on Biblical models. I am sometimes surprised that the founding fathers failed to make provision for truly Biblical cities of refuge here when they used Scripture to model so much of civil society. Thank you, Joyce. We have to say we were taken aback when we checked into it and found that Lynda was correct that the cities of refuge were being used as a justification for sanctuary cities. Those cities of refuge could only work while Israel was completely under Biblical rule. There are no such cities in modern Israel let alone around the world. I wanted to thank you for answering my question about the cities of refuge. What were some of the cities during the Old Testament that were cities of refuge? One thing that I have learned from watching your program is how wonderfully God has provided to help us with all sorts of problems in life. That message of God’s provision for His people is a common thread to “Ancient Jewish Wisdom!”Thanks for a great program that expands the parameters of my thinking about the true meaning of scripture! Lynda, my husband and I love hearing from the people who wrote the question in the first place. There isn’t room here to write more about the cities of refuge but there is quite a bit about them in Deuteronomy and other places in the Bible. And now, you can search online! Brilliantly explained, making a clear distinction of a healthy civilization vs one that breeds chaos. 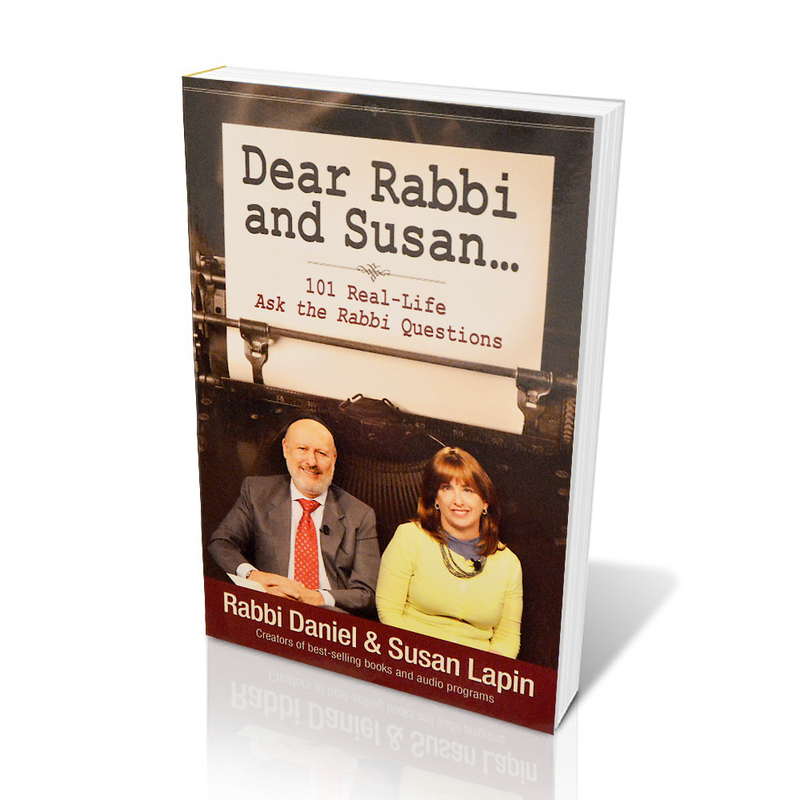 Thanks Rabbi Daniel and Susan!! Tim, chaos seems to be what many are intent on breeding today. Thanks for writing. Glad you liked it, Jeremy. What a nice thing to say, Shaun. We get enlightened by the questions and comments as well. In watching today’s Ancient Jewish Wisdom Show on ‘making decisions’ it was said (and we know) we do not have the ability to look into the future. As you pointed out, making [major] decisions can be very stressful; and with every decision is both good and evil. You then give an example from 1 Samuel 8 where the people were making the choice to have a king rule them. The Show kinda took an unexpected turn for me. I thought God was raising His hand as the Elephant in the Room and saying, shouldn’t you be asking me? God clearly knows the direction. 2) Didn’t it occur frequently in scripture where someone petitioned God for an answer before making a major decision? Sometimes if a king did not petition God it was detrimental. 3) Is it that asking God (before deciding) is what we should do as our act of faith? 4) What, if anything, has changed between then and now us being able to petition God and hear from Him before making a decision? I get concerned that the cry of American’s hearts will be for the wrong leader that will lead us into complete slavery, as history always repeats itself. We’re so very happy to know that you watch our Ancient Jewish Wisdom television show ( http://www.tct.tv/watch-tct/on-demand-ajw ) One of the most beautiful distinctions between Noah who was not selected to become the father of a people and Abraham who was, is that Noah is always described as walking with God whereas Abraham is always referred to as walking in front of God. Often God expects us to walk before him without always having His reassurance that we are on the right path. This resembles how wise parents gradually help their children learn to make wise decisions even if the process sometimes means allowing them the freedom to make the wrong one. We do sometimes get shocked at how the time runs away from us, Bonnie. Thanks for watching. I enjoy hearing Susan’s wise, spiritual comments. There is one thing that is hard for me on your shared podcasts. When she gets excited, her speaking voice comes across as shrill and strident. How about trying to speak more softly? It will be much easier on the ears. Thanks for the advice, Glenna. I think in general women’s voices don’t come across as well. I believe, Margaret Thatcher had coaching to lower the timber of her voice.